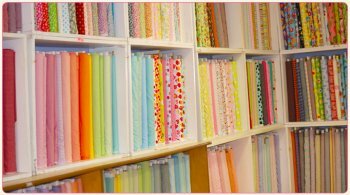 The Smocking Bird has been southeastern Alabama's premiere heirloom sewing shop for over 25 years, providing stitching enthusiasts with the finest selection of designer fabrics, imported laces, and smocking supplies the industry has to offer. Locally owned and operated since 1983, we continue to pass on our passion for stitching with new generations of sewing professionals and hobbyists. Our classes, taught by amazing instructors in a no-pressure environment, inspire learning, creativity, and fellowship. As an authorized Janome dealer, we carry a full line of innovative sewing and embroidery machines, as well as providing prompt, qualified machine repair services by certified technicians. We specialize in customer service, treating each person who walks through our doors to personalized assistance that includes expert product knowledge, project advice, and ongoing support by our friendly, talented staff. Our mission is to ensure that you have the products, services, and educational opportunities you need for an enjoyable and successful sewing experience!